Voice-activated smart home hubs have moved past the trendy stage and are settling into the mainstream. They can dim the lights, play your favorite song and order a pizza when you don’t feel like making dinner. Now that Amazon Echo’s Alexa is a familiar voice around the house, Google has thrown its hat into the ring with Google Home. 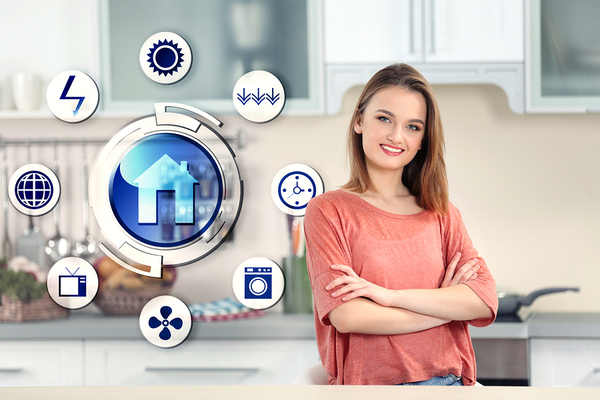 What’s the best bang for a homeowner’s smart home buck? Here’s how each system measures up. The basic command that activates Google’s system is, “Ok Google.” Virtually everything that Google on your home computer knows, Google Home knows and can tell you. What can you ask? The product features page has a few ideas that you can try. Need to solve a math problem? No problem. Ask the device anything and you’ll get the answer. Need a definition? That’s easy, too, with answers from Google’s dictionary. Find facts, learn about current events and sort whether the quesadilla you want for lunch fits into your diet regime. If you want to know, chances are Google Home can tell you. Google Home is more than an answer box. It’s a system that helps you enjoy entertainment, keep a schedule and manage your home. Ask OK Google to play a song, and the tune will ring out from the unit, from your speakers throughout the house or both. Do you need a reminder about an upcoming dentist appointment? This smart hub can ping you so that you won’t forget. If the air is too warm or chilly, your hub can adjust it with a voice command. It supports the Nest thermostat, which you’d expect, but it also supports Honeywell. Connect it with Phillips Hue, and you’ll get dimmer and color controls on lighting throughout your home. This smart hub has one potentially big advantage over Amazon’s smart home hub system, and that’s multiple users. According to Trusted Reviews, Google’s system might soon have the ability to access your music library and everyone else’s in the house independently. According to CNET, Google Home ratings average out to 3 1/2 stars out of five. Drawbacks: family member personalization is apparently glitchy or nonexistent at the moment. If you haven’t seen or heard a commercial about Alexa yet, you probably haven’t been paying attention. The sleek, black tower looks more at home in your home these days than it did in the beginning. Now, there’s also Echo Dot, which is a mini hub that you can place throughout the home to expand its reach. The Amazon Echo is activated by calling it by its name: Alexa. Ask “Alexa, what time is it?” The unit will activate and respond. As with Google Home, Alexa can do arithmetic, tell you showtimes for movies, give you the calorie count in chocolate cake and set appointment reminders. What Other Features Does Alexa Have? Alexa can play your songs from Amazon Music, Pandora, Spotify, iHeartRadio and order snacks when you’re running low. Need sports scores or stock prices? That’s easy. Alexa will even read you a bedtime story at night, set an alarm to wake you in the morning, give you traffic updates and switch on a smart home enabled coffee pot. This smart home hub system can help run your whole house. As with Google Home, it can adjust your thermostat and turn lights on and off on command and turn on ceiling fans. Using the smaller Echo Dot mini hubs in different rooms, Alexa can hear you and respond wherever you are. CNET gives Amazon Echo a solid four stars out of five. This is the smart home era, and Amazon’s Echo paved the way. Now, Google is becoming a major player. Choices are always a good thing. The decision making appears to be in the finer feature details, as both systems perform many of the same functions and do a good job while they’re at it. No matter which smart home hub system you choose, you can solve a riddle, balance your checkbook, turn clear lights blue and make the room warmer with a simple command. Next thing you know, they’ll even cook dinner instead of just ordering out. Home inspections decidedly do not cover smart home systems, at least at the moment. But the more you know about homes of the future, the better. To learn what’s important for the profession now, ICA School is the right place to be. Enroll now and work toward a whole new career at your own pace.